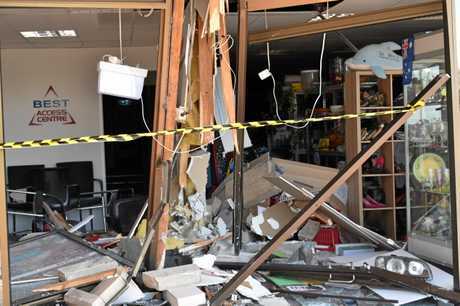 A DRIVER stricken with what police believe may have been a medical episode has crashed through a Gatton shop-front overnight. 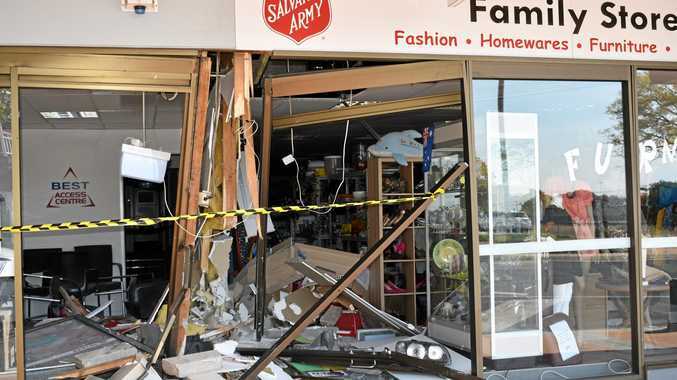 Police received a call at around 9.30pm on Monday night in relation to a vehicle crashing into businesses on Railway St.
At the scene, police followed an oil trail to a nearby Holden Commodore belonging to a man in his mid-to-late 20s. Substantial damage has been done to the Salvation Army Family Store as well as the man's vehicle, but he escaped unharmed. "It appears in the early stages of the investigation (the crash) may be contributed to a medical episode," Sergeant Tony Harm said. 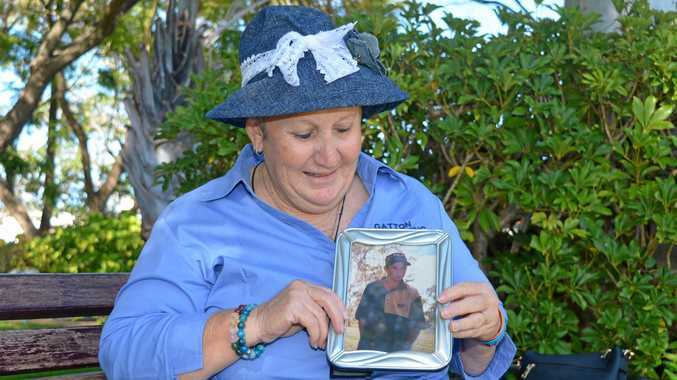 "Police are still conducting investigations and will be looking at CCTV footage and awaiting blood test results."